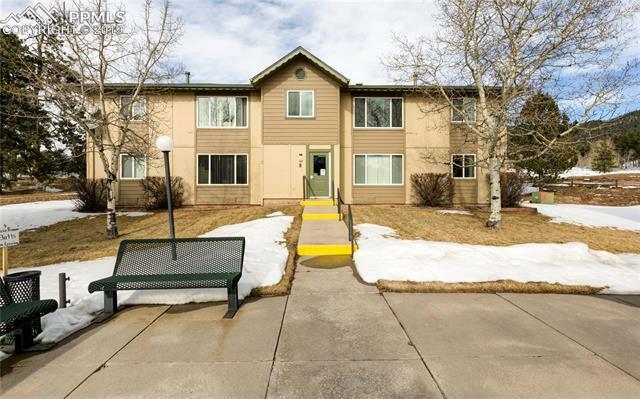 Sit by the fireplace and enjoy the million dollar Pikes Peak views from this 1 bed, 1 bath recently remodeled second story condo. New paint, flooring and appliances. Enjoy the views from both the living and bedroom. Coin-op laundry and storage locker. Walking distance to shopping centers and downtown.